Relationships are hard enough without the added challenges of severe depression, but relationships are also one of the most powerful opportunities for individual and cooperative growth. With the right help and strategies to cope with criticism and self-doubt that stem from major depression, partners can navigate the recovery journey and thrive in a relationship. Relationships have been known to turn people inside-out, uncovering shadows and challenging individuals to be vulnerable enough to trust another. When someone in a relationship has depression, it can intensify the experiences even more, making vulnerability and trust especially challenging. 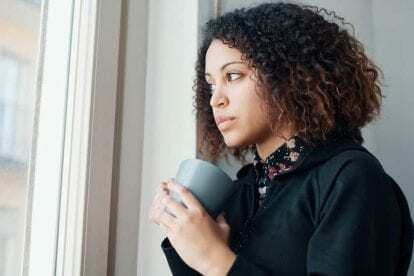 While it’s common for people in a relationship to have to work out problems and adapt for each other’s sensitivities, depression can introduce problems and sensitivities that are extreme, unpredictable, and resistant to reconciliation. Major depression is a mood disorder that can alter a person’s moods in ways that don’t match the events and circumstances around them. 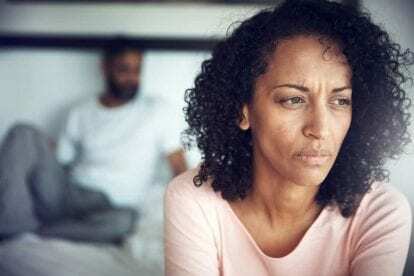 When people get close to each other in a relationship and severe depression is present, emotions and conflicts can become volatile as the depressed individual tends toward self-doubt and criticism. But a relationship is not a lost cause even when depression is present, because major depression is manageable with the right help. And there are ways to keep things in perspective and grow even closer as partners through the challenges that arise. Depression tends to distort one’s perspective. An individual will experience an interaction with someone through a filter of negativity that can inspire doubt, distrust, shame, fear, and many other discouraging reactions that may not relate directly to the truths of the interaction and the other person’s intentions. Someone with serious depression may have a hard time not taking things personally, and pessimism and conflict can easily spiral out of control. The filter of depression can also distort feelings, thoughts, actions, and habits. When one doesn’t maintain awareness of this disorder and its power to distort, it can feel as if depression is in the driver’s seat and they are just along for the ride. It takes a lot of energy to sustain a relationship in the first place—physical, mental, and emotional energy. Major depression tends to drain a person’s energy and leave them feeling unmotivated, discouraged, and fatigued. So, in addition to moodiness and irritability, an individual with depression may simply lack the energy and the interest to participate authentically. Without regular connection and intimacy, it becomes even harder to generate trust and appreciation for each other. When someone with depression struggles to feel confident in themselves, it can be very difficult to have confidence in another. Self-doubt leads to doubt about their partner, and often criticism follows. When conflict arises as a result—either because a depressed partner is critical of the other or because the depressed partner is ceaselessly critical of themselves—a person may see the reasons to doubt even more, and it becomes a slippery slope for severe depression and relationships. It often takes an outside perspective to help wake a couple up from this depressive slide. The good news is that, typically, the real circumstances are not as bad as the depression lens makes them out to be; the relationship may be a truly positive support system through the recovery journey from depression. Major depression is a very serious disorder that can have devastating consequences if not properly treated. But all of the negativity and pressure that one with depression perceives is not a reflection of who they truly are. Treatment for depression is about caring for the whole person and guiding them back to a clearer perspective of who they really are and of the opportunities they have before them, including their relationship. It’s important to make space for the experience of depression—for acceptance and for healing. Simply resenting and pushing against the disorder day after day with perpetuate the symptoms and increase self-doubt and criticism. Committing to residential treatment may be one of the best opportunities for someone with major depression, as they can put recovery first while setting aside common triggers that heighten stress and cast further shadows on the lens of depression. In this setting, clinicians can help clients to find the best medications and dosages to minimize depression symptoms. Plus, experts know how to cultivate a balance between making compassionate space for the depression experience and also directing focus to the empowering moments and positive situations that are accessible for a client—especially the challenges that they are able to overcome despite the depression. A critical benefit of caring outside perspective, such as that of a counselor or therapist, is that it can help someone with major depressive disorder to see the filter of depression for what it is: a distortion, not an honest representation of what’s really going on around them or an honest representation of their own self-worth. When a therapist helps a client to step back and see the disorder for what it is and how it operates on their mind, thoughts, and emotions, they can begin to take some of the power away from that depression filter. The more someone can remember that it is the disorder weighing down their view and experience of the world, the more they can be aware of alternative perspectives and have hope for a future of recovery. 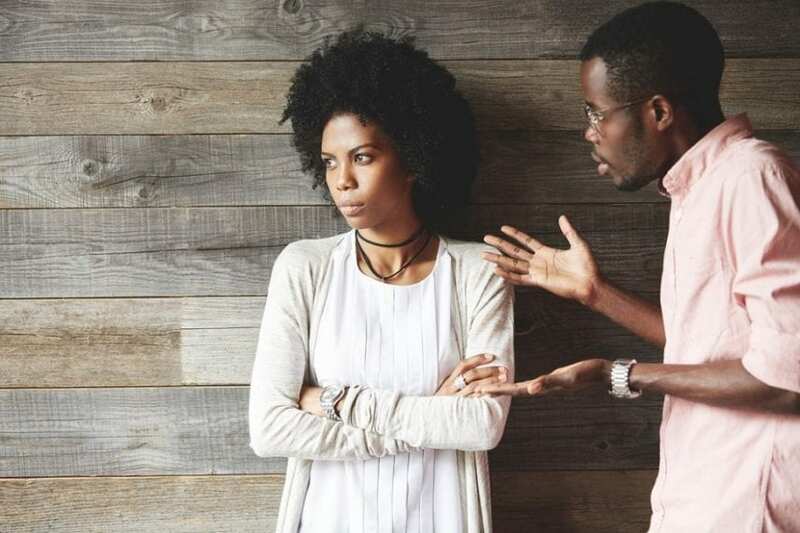 Along with comprehensive treatment for the individual, couples therapy can help ground partners with tools and coping strategies to manage the presence of pessimism, doubt, and criticism. Spending regular time in therapy together can also serve to refresh partners’ perspective and to maintain an awareness that the filter of depression is a challenge they face, not an actual reflection of either of the partners’ value. With the support of therapy, a couple can identify needs of both partners and develop strategies for balancing and fulfilling those needs. A therapist can help them to create reasonable expectations and actionable steps, especially when criticism or other conflict arises. Both partners can feel more secure, knowing that they are not alone and that they have accessible tools for managing the sometimes overwhelming effects of depression. Someone with depression—indeed, all of us need to feel secure within ourselves and in the context of a relationship. The keys to a confident connection are open communication and a productive balance between space and togetherness. A relationship is always evolving, as are we as individuals, as is depression. Honest communication and respect for expanding interdependence will support all of the dynamic elements at work. Long-term support must come not just from within the relationship when a partner has severe depression, but also from outside to ensure the best outcomes for individual and relationship recovery. At Bridges to Recovery, we specialize in diagnosing and treating mental health and emotional issues. We provide compassionate and effective care in a serene residential setting so clients can focus on their treatment and recovery without the worries of external pressures and stressors. Private residential accommodations. Exclusive residential homes with a maximum of six clients. A private alternative to a more traditional hospital environment. World-class clinical staff. Expert clinical team provides individual therapy using proven evidence-based treatment modalities to treat complicated disorders. Individualized treatment plans. Truly individualized treatment plans that offers profound healing and strategies for overcoming the toughest obstacles. Health and wellness focused. Healthy, gourmet meals, and yoga, meditation, acupuncture, massage, and physical fitness classes. Bridges to Recovery offers comprehensive treatment for people struggling with mental health disorders as well as co-occurring substance use disorders. Contact us to learn more about our renowned Los Angeles and San Diego-based programs and how we can help you or your loved one start on the path to lasting wellness.